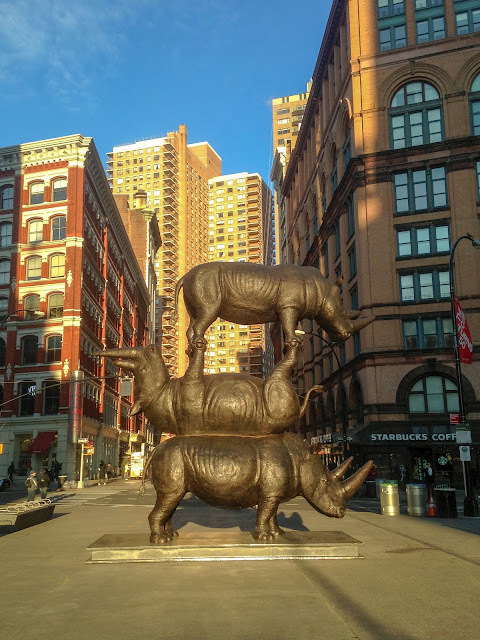 As part of my series of Day Trips Outside the East Village, I ventured this morning to Astor Place, to see the new rhino sculpture called "The Last Three", by the artist duo Gillie and Marc. East Villagers have been flocking to this sculpture since it was unveiled yesterday — there hasn't been this much excitement since Basquiat was alive! Thankfully, it's not very far, and you get to exit from St. Mark's Place, the coolest street in the East Village! 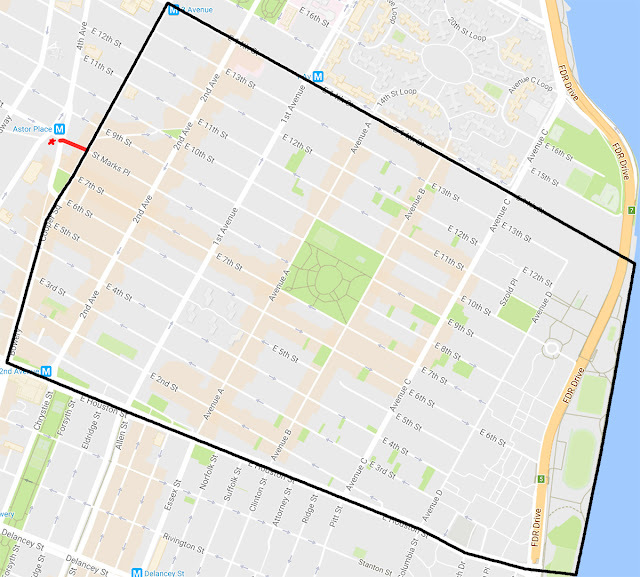 Thank goodness the EV has a strictly enforced "No Goofy Art" policy! Otherwise that would have been installed in the EV and not "too close for comfort" to it. I know — They look like circus rhinos!